Spent a few hours at Kelham Island in Sheffield last week taking photos and noticed this curious little workshop (now a bar of course!) on West Street on the way back to town on the tram. 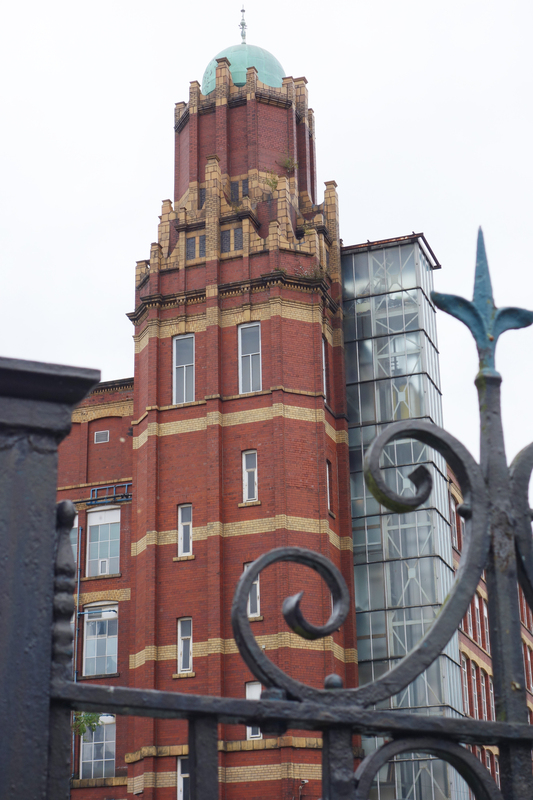 It was at one time part of the Viners cutlery empire, so definitely a part of the Steel City’s cutlery heritage. But tigers? More like lions I think….. Off to see a couple of old paper mills down south later this week. 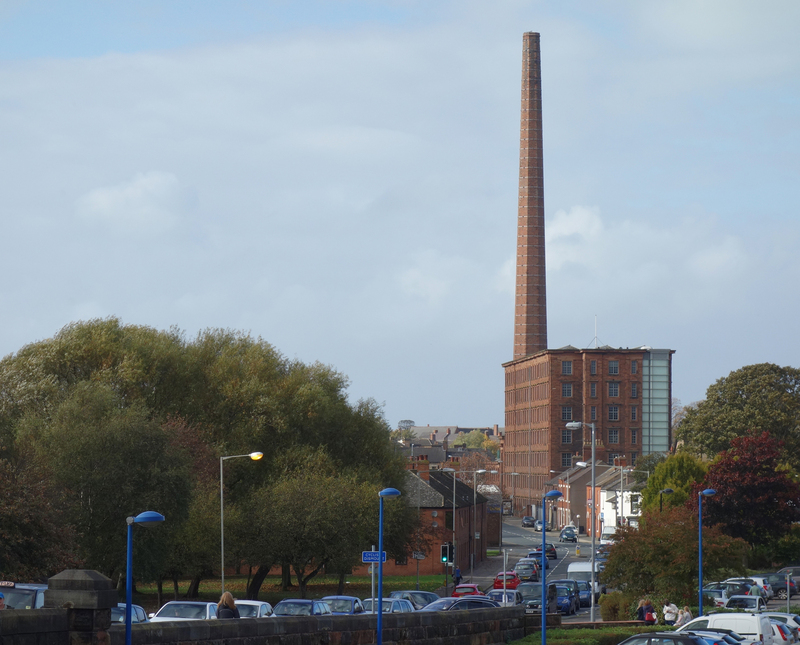 Latest industrial architecture trip was to Stockport, where saw mill after mill including this one (Broadstone), which was originally a double mill, half of which has now gone. The scale of these buildings is enormous. Just across the road is Houldsworth Mill, centre of the Houldsworth model village complex complete with church, and a few hundred yards further the pair of Elizabeth and Victoria Mills. A bus ride from Stockport centre is the wonderful Pear Mill (see the flickr pics) with a massive pear on its water tower, four pear finials (one on each corner of the main building), four smaller finials around the chimney base, a pear above a couple of entrances, and in case the onlooker still didn’t get the message, the word ‘Pear’ in a cartouche above the engine room (now a huge climbing centre). 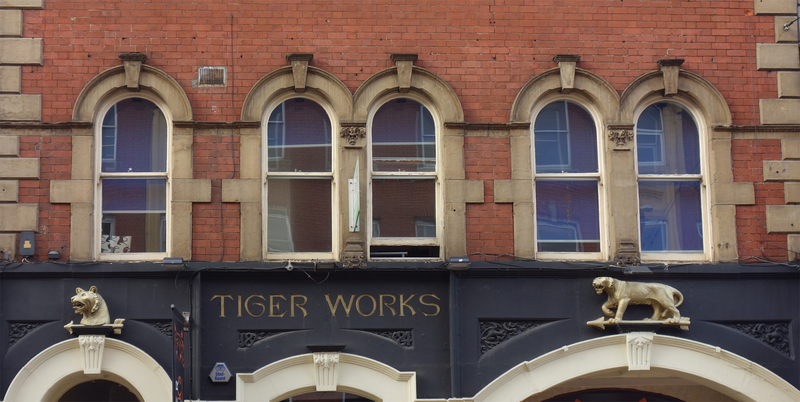 So that’s at least a dozen pears….. There’s a great deal of decorative terracotta detailing on these buildings too.